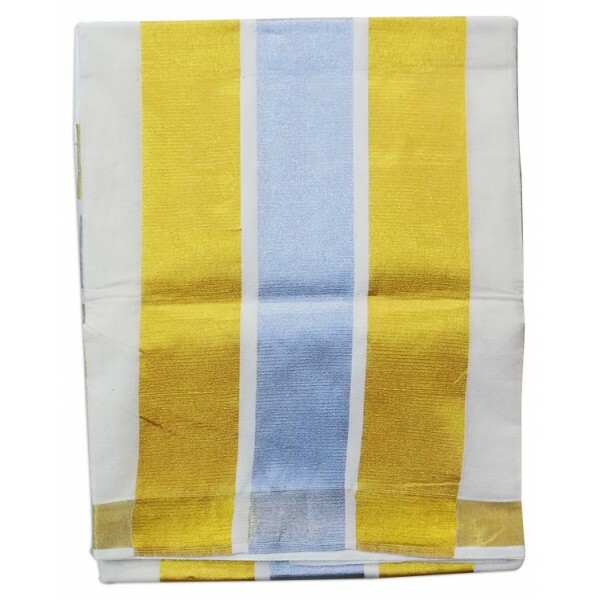 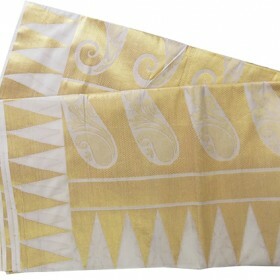 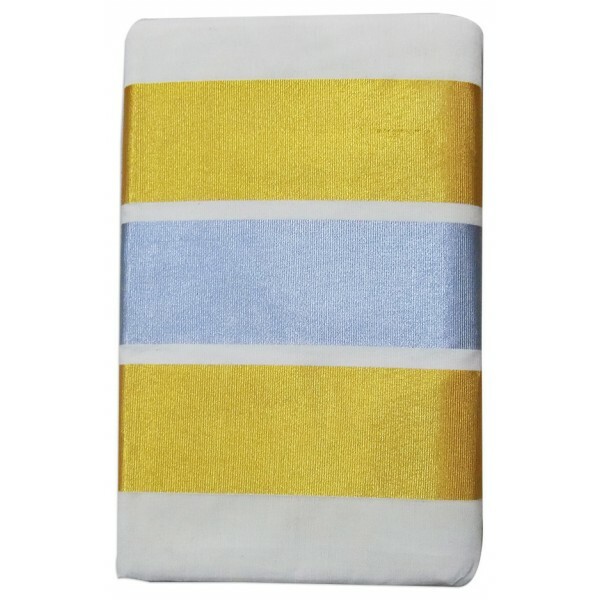 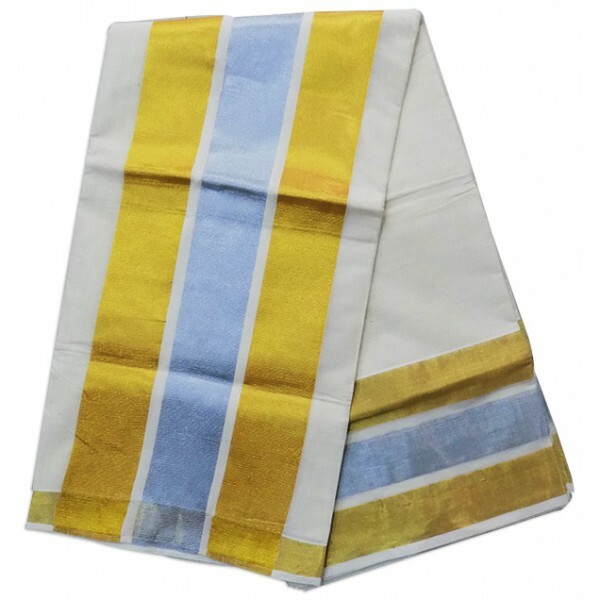 Gorgeous traditional Kuthampully silver and golden Kasavu Saree from Kerala is a superfine cotton fabric that is cool and comfortable to wear. 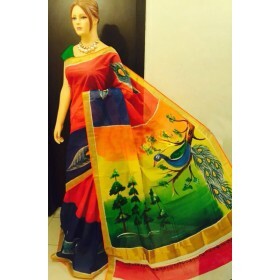 This simple but elegant looking fabric is given an extra touch of beauty with small Design work on the body of the Saree. 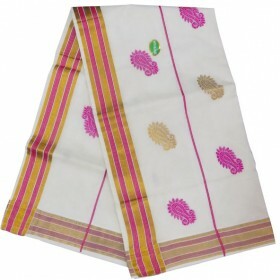 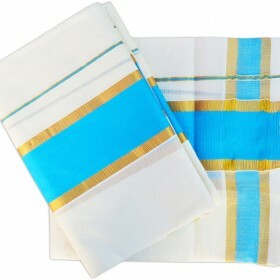 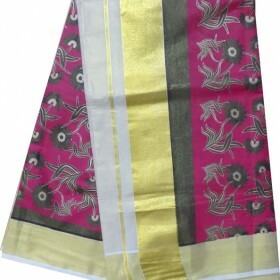 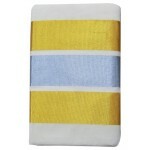 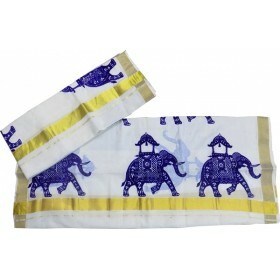 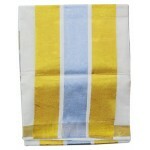 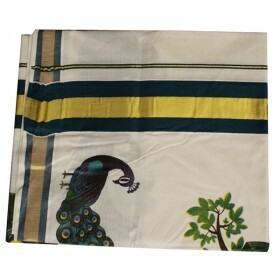 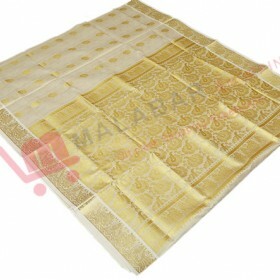 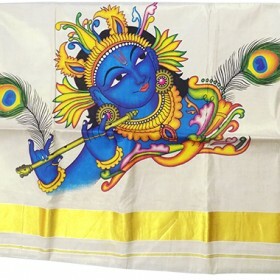 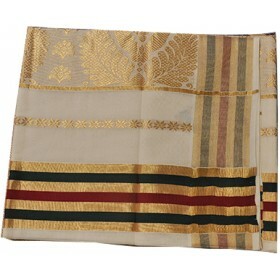 Large bottom border is unique on the saree.